The other claim made by the Scottoiler website is the ease of chain cleaning. I must confess to being very sceptical of claims like these. So once I got the chain nice and dirty (it never gets as dirty as a chain lubed with more conventional lubes) I wiped it across a white tee shirt and got chain dirt all over my hand too. The hand did indeed wash off with just plain water, and the tee shirt came up stain free too. I’ve since demonstrated this amazing feature to many others riders astonishment. It really does ‘do what it says on the tin’! The wear data is obviously a bit subjective and based on a number of assumptions. Unfortunately I have no means of accelerated testing for chains (yet!) and have to rely on actually riding a real bike – which takes time. Summary (my opinion only) – A Scottoiler makes a useful addition to a hard working bike, minimises drivetrain maintenance, and should pay for itself over a couple of seasons. It might be even more beneficial to cycle commuters, tourists and Audax riders who munch lots of miles. 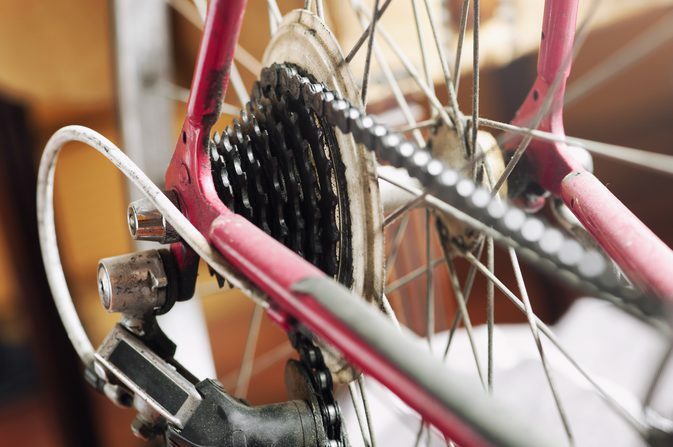 It’s also perfect for riders who wish to spend more time riding and less time maintaining their drive train.